Home Stretch 5K presented by Family Promise of Greater Nashua at Anne Marie House. 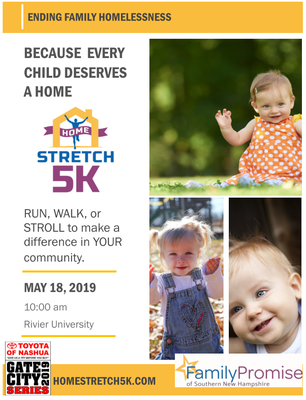 Run, Walk, or Stroll to make a difference in YOUR community. Help ending family homelessness, because every child deserves a home.